The wireless market in the United States is essentially saturated so finding new pools of customers to win for the business is difficult. When Sprint announced that it would be shuttering the Nextel network and migrate customers completely by mid-2013, it offered a signal to the competition about an opportunity to grab even more of the crowded market. Sprint, with a few exceptions over the past year, has largely been hemorrhaging subscribers since 2007. The carrier has been able to abate those losses somewhat by starting to offer the iPhone, but even with Apple’s magic handset and an unlimited data plan, sales have been lackluster. Quarterly financial and subscriber losses widened for the troubled carrier last month. Meanwhile, Sprint has been feverishly trying to retain its Nextel subscriber base as it prepares to convert that spectrum for better use on its incumbent CDMA and developing LTE network. To the carrier’s credit, it has been able to retain an impressive 60% of those customers so far. However, even Sprint says that retention rate is not sustainable. Nextel’s network gained notoriety for being, at the time, the only push-to-talk capable network. The service is a hit with businesses involved in construction, fleet management and other models where a walkie-talkie type connection is more efficient than making a phone call. Keeping its current customers while converting them is a less expensive proposition for Sprint, but the focus is having a negative impact on its ability to win new business. Despite those retention efforts, Nextel still lost over 850,000 subscribers last quarter, wiping out gains made by Sprint, and leaving it with a net loss of over 450,000 customers. Sprint’s losses have been the competition’s gains, mainly Verizon and AT&T. The Nextel network consists largely of business customers and has about 2.3 million subscribers remaining. At the time when Nextel was acquired by Sprint in 2005, it had over 20 million subscribers. Verizon has since made large inroads against Sprint’s business customers earlier this summer which may explain part of the massive losses suffered last quarter alone. Verizon’s Director of Public Sector Marketing said, “It has been a good opportunity for us to take share from Sprint.” Likewise, AT&T started its own push earlier this year, but only recently launched its own push-to-talk service and is just now entering the fray to pick at the bones of the Nextel user base. Sprint is facing pressure from all sides as it prepares to link up with Japan’s Softbank. That transaction itself is a point of pressure as the company awaits shareholder and regulatory approval to move forward with that plan. What is certain though is that Sprint will have to make some very tough decisions as it rushes to herd the rest of its Nextel customers off the iDEN network. 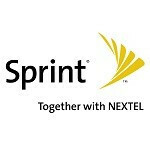 While it is about $200 cheaper to convert an existing customer, when facing customer losses at double the rate of retention, the carrier must adjust its game plan, because if the trend continues, it will cost Sprint nearly 3 million customers to save 60%, or 1.4 million of 2.3 million customers left on the Nextel network. That looks like a pretty simple decision on the face of it. Hopefully Sprint will find that perfect convergence of adding subscribers while retaining the customers it can. I feel nothing for Sprint anymore... when they wanted to charge me $10 more a month for "Premium Data" where I hardly got any in the first place and had an Airave at home and at work (an no, other carriers where just as bad, but Sprint had the Airave)... NO THANKS! Ill pay for your "Premium Data" if you pay for my DSL service which is to provide your "Premium Data" over its lines... Ya... piss off! In a DAMNED if you do, DAMNED if you dont situation, AT&T, a carrier I hate more then any other (on principals alone), finally got coverage in my area, AND was almost exactly the same price, so I asked one last time to have the fee waived, they said it wasnt possible, EVEN THOUGH the rep admitted it was stupid and didnt make sense for someone like me and even quite a few others hes talked to, it just couldnt be done... SO... off to AT&T I went :( My story aside, and more to the point: My uncles business had Nextel, he also bailed to AT&T because after 3 weeks attempting to use the pseudo CDMA PTT, he also got fed up and decided that Nextel's death + a NON alternative in CDMA PTT (I help all of my family and friends with PC + Phone issues, even I tried to assist... didnt happen!) + $10 per phone for "Premium Data" (no dumb phones for CDMA PTT... seriously!)... Well, Sprint has a case history for shootin itself in the foot... If you look back, when they changed up the plans and decided to start charging $10 per phone for "Premium Data", the already downhill slope, got a healthy dosing of grease, then the NON-replacement for PTT... no more hill, THIS IS SPARTAAAAAAAA! kick down a conveniently placed hole! You complain about $10? haha It's $40 per phone on Verizon just to share the 1gb minimum data! The lowest plan for a smartphone is $90 at the lowest. With 1gb of data. +$40 for a second and so on, but you still keep that 1gb of data to share on top of as many phone as you get.